Take your limousine business to a new level with our customizable limo booking app solution. We provide leading-edge on-demand technology to build limo startups and aggregator platforms. 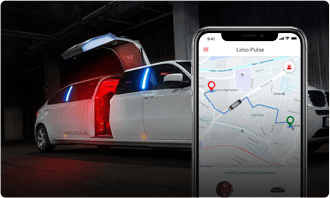 Connect your limo fleet to users online and grow your business in an efficient way. We offer white label limo app solution for enterprises to accomplish their business transportation needs. 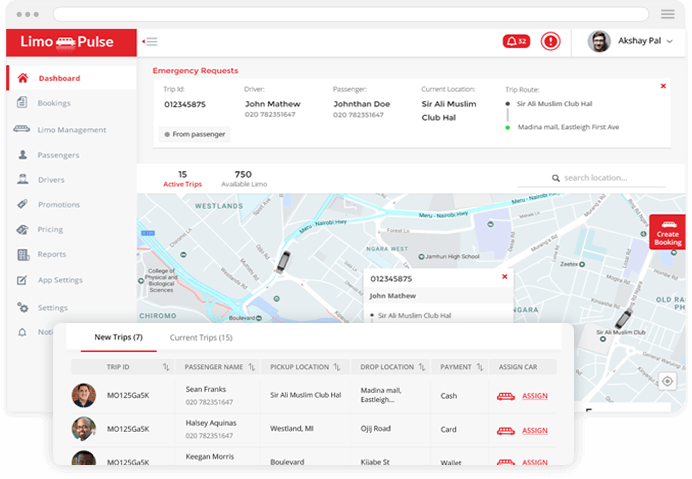 The smart limo app solution allows dispatchers to manage all the ride related activities in a minimal time frame. Algorithmically controlled dynamic pricing to handle demand and supply mismatch. Keep passenger phone numbers hidden during calls for better privacy. Option to set up a separate profile for business travel and expense management. 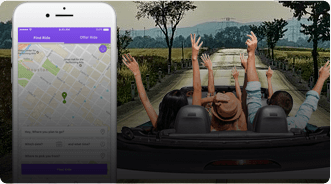 Issue ride passes that for offers multiple rides at discounted rates. Passengers get smart suggestions to choose faster pickup points near them. Allow passengers and chauffeurs to chat with support from within the apps. Allow calls over data or Wifi between passengers and chauffeurs. Allow your passengers to book from the mobile web without needing an app. Integrate customer booking requests through calls with your dispatch system. Set up the region of operations to accordingly receive and dispatch requests. Set up flat fare for popular routes like airport pick up and drops. Chauffeurs can opt once or twice a day to for a preferred direction trip. A record of income reports, encashed requests, admin approvals, and bank transfers. Passengers can opt-in to share their calendar events for destination suggestions. Our app solution is built to support multiple languages for different regions. Limo passenger app to maximize interaction, offer greater conversion through a comprehensive solution. 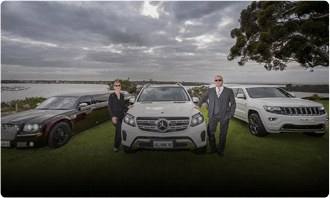 Get a fully branded limo app solution that is tailored to your business needs. Get the native, feature-packed iOS and Android apps for best performance. Feature to schedule a ride for a future date, time, and location. Passengers receive all the relevant ride information after a successful booking. Accurate ETA updates and real-time tracking of the limo on a map. Passengers can rate their ride experience post every trip through the app. Full passenger trip history for past, ongoing, and upcoming requests. A useful feature to book a ride for other people when needed. A dedicated section in the app for users to manage and edit their account information. Feature for passengers and chauffeurs to communicate via in-app chat. Keep passengers’ numbers hidden from chauffeurs during calls. 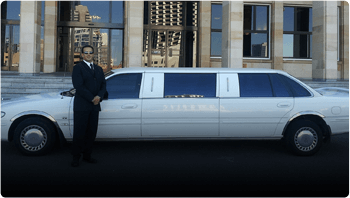 Our limo app solution allows the Chauffeurs to easily manage the bookings and maintain a track record on each ride along with revenue. Chauffeurs Can quickly add the necessary details and request a signup. Chauffeurs can mark themselves online or offline anytime and stay flexible. Chauffeurs get notified for new requests with pickup details. 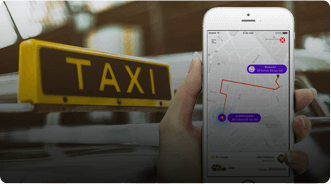 Intuitive interface to accept rides in a limited time frame. Chauffeurs get essential details about their passengers for a seamless pickup and drop. Built-in navigation with Google maps provides the best route, and ETA information. Chauffeurs can call passengers for any clarification on pickup location. Chauffeurs mark when arriving, start and end a trip to get automated bills. Chauffeurs can mark a payment as cash after a trip’s completion when needed. Chauffeurs get useful stats and insights on their trips, performance and feedback. Chauffeurs also get an option to rate the passengers after the completion of a successful trip. Chauffeurs also get the option to cancel a trip from their end when required. Chauffeurs can report an emergency to the control center from the app. Chauffeurs related queries can be addressed with in-app support and FAQ options. Chauffeurs can get rides in a particular direction by providing a destination choice. Web admin panel in limo app solution offers holistic business analysis for making a resourceful decision. A sophisticated algorithm to automatically assign new trip bookings to chauffeurs. Add and manage the entire network, their payouts, feedback and more. Manage your app user base, booking data, queries, feedback and more. 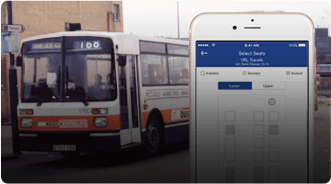 Configure the limo fare calculation settings, surge pricing, bill generation, etc. We build customized and robust limo car booking app that assists your businesses in a long run. We deliver top-notch app development solution for businesses and limo startups with some key advantages. 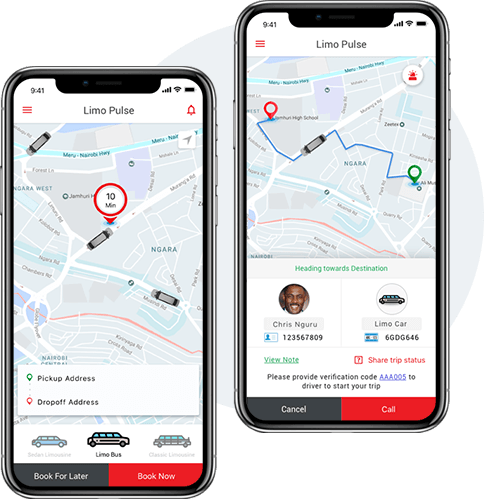 A fully white label limo app solution with your business logo and branding plus the option for custom features and integrations. A ready to deploy base limo app solution for a faster time to market, saving valuable time and money. Our solution is deployed on your private servers to provide full control over the valuable user data generated. Leverage our expertise in on-demand limo app development domain. Multi-language and multi-currency support ensures that the limo solution can work in many countries across the globe. Out of the box support for popular payment gateways and easy addition of new ones as per the business needs. Creatively designed app and web interfaces to offer an amazing user experience to all the stakeholders. 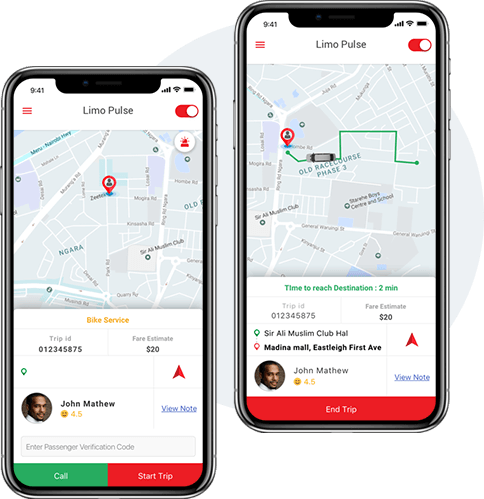 End-to-End Support by our team of limo app developers to ensure seamless deployment and launch. A personalized engagement model for startups and entrepreneurs to build their own limo app. Personalized interactions for comprehensive requirement gathering. Push notifications, email updates, and SMS alerts setup. 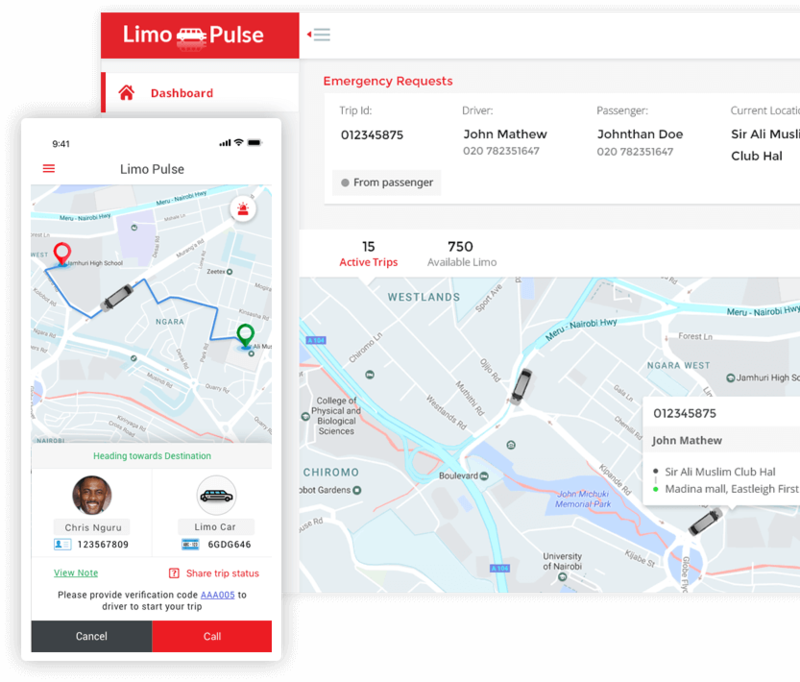 On-premise deployment of the limo car-hailing solution for full data control. 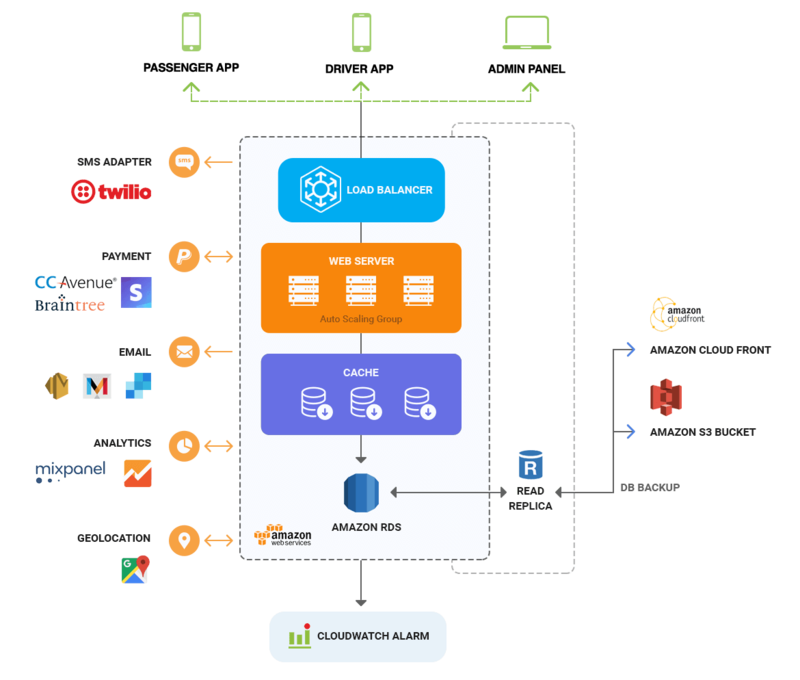 Support for integration with popular analytics platforms. Dedicated launch and technical support for smooth operations. Our limo app development solution is built on a robust technology stack which is tailored as per your business requirements. 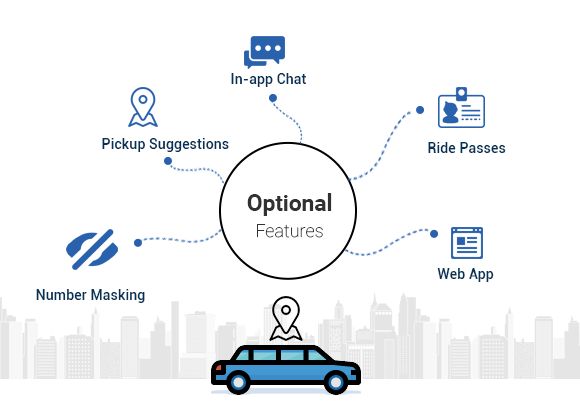 Our limo app solution can be tweaked and pivoted with minimal effort to power unique transportation application ideas for startups and businesses. Government and city administration can help provide safe and reliable public transportation options to citizens. 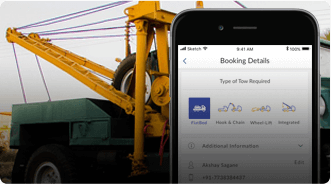 Custom app for towing companies to locate their towing vehicles and dispatch one for nearby customer requests. 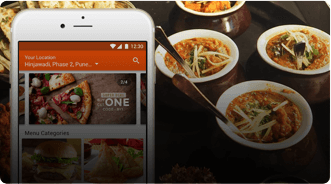 A white label food ordering app like UberEats to instantly connect food lovers with nearby restaurants in a few simple taps. 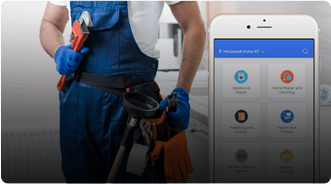 We help you build a branded mobile app platform to connect service seekers with service providers with our tailored.